After graduating from the University of Massachusetts in 2000 with a B.A. in Business Management, Daniel started his career in the insurance industry at The Hartford Insurance. With a desire to join the independent agency system, he made the choice to join the V.F. McNeil team in 2002. Daniel also played an integral role in moving the agency forward into further technological advancement and took the initiative to make other key contributions outside of his role as a Certified Insurance Counselor. He was quickly recognized for his professionalism, leadership skills and his devotion to his clients and the agency. He was promoted to Vice President in 2006. Daniel’s dedication and depth of knowledge regarding the insurance industry, V.F. McNeil and its clients made him the perfect choice for succession. A sales agreement was reached between Daniel and the previous agency owner Paul H. Sturgess. Daniel purchased the agency in 2012. 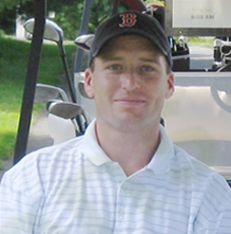 Daniel enjoys in his personal time coaching elementary boys and girl’s basketball in Branford, volunteering for important fundraisers like those to benefit service men and women returning home from war. He also enjoys sports like golfing and snowboarding and loves to spend time with his wife Erica and their three children.